A photographic exhibit of M.B. Boissevain's insightful photographs that premiered at the 2012 Marin County. These magnificent images provide a unique opportunity to embrace Marin's agrarian roots and present bounty, as well as take an intimate look at what life was like for Marin ranchers and farmers during the 1920s, 1930s, and 1940s. From the arrival of the Mexicans in the early 1820s, to the beginning of the Gold Rush in 1849, Marin was a rich agrarian landscape providing range for thousands of longhorns. 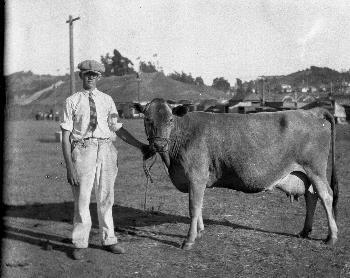 Gradually, they were replaced by dairy cows as immigrants arrived from Europe, farming the rich forage that grew here with proximity to the developing city of San Francisco. M.B. 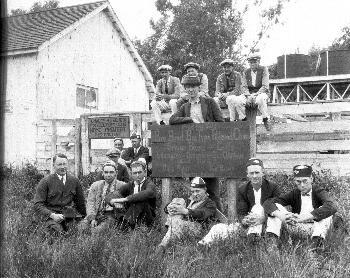 Boissevain began as the first University of California Cooperative Extension Farm Advisor in 1920. During this period, UC Berkeley, California's land-grant university, was sending agricultural agents out to agricultural communities up and down the state to spread practical information and new methods about farming. M.B. 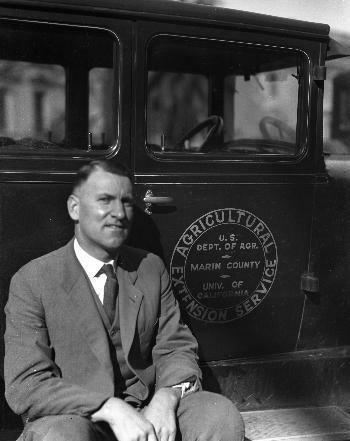 Boissevain was the first farm advisor in Marin County and served as agronomist and community leader for 30 years, from 1920 to 1950. Boissevain was also a talented and prolific photographer, and his 4 x 5-inch negatives capture a rarely seen view of the people and the land during the early part of the 20th century. 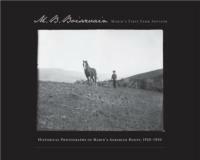 As part of his farm advisor role and duties, Boissevain captured approximately 500 photographic images of Marin agriculture including its people and farmscapes. These photographs, along with his detailed farm reports, document the development of new animal breeding practices, forage crop and soil improvements, and water quality, and erosion control improvements. According to Liberty Hyde Bailey, early historian and chronicler of American life, Marett Burridge (M.B.) was born in 1887 on a farm in Saskatchewan, and was a high school agricultural teacher in Washington. He traveled to Europe and elsewhere studying agriculture before settling in Marin after a stint in Wyoming as a farm agent. Most people called him "M.B." or "Boissie." "He was just a charming man, soft -spoken but very precise about everything. I remember how much he loved Marin. I think he was part of a group that had lunch together often and I think they were responsible for the slogan ‘Marvelous Marin'." -Carol Boissevain. 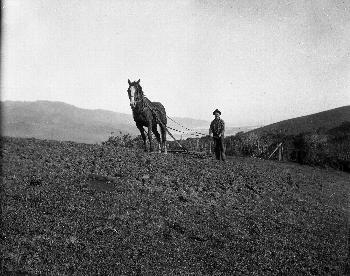 There were many vineyards in Marin County during the late 1800s and early 1900s. The hills around Novato sported vines, as well as commercial locations in San Rafael, Fairfax and Larkspur. 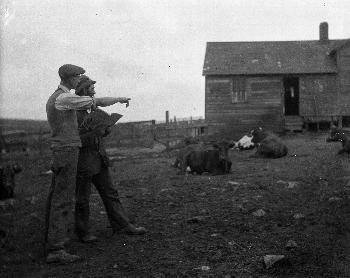 Regular cooperators with the farm advisor, Boyd Stewart in Nicasio, and A.J. Bianchi in Point Reyes Station, tested Canada, Bluebell, and Marrowfat field peas with oats for dairy hay. Kanota oats and Federation wheat seemed to produce the best combination. "The Marin County Fair and Harvest Show was a beautiful show. The big tent was magnificent. The livestock and poultry shows were outstanding. The amusements were clean. It was a very fine little show worthy of Marvelous Marin." -M.B. Boissevain. Since the first pioneers arrived to homestead in the mid 1800s, farming has been a way of life in Marin. The county’s climate and topography have created an abundant landscape suited to small, family run farms. Rich grasslands, protected hillsides and cool summers with ocean breezes have provided the perfect grazing for dairy and cattle ranching for over 150 years. The Marin History Museum invites you to come see historic Marin agricultural items such as milk bottles, milking stools and butter churns used by the early pioneering ranching families. Visitors are encouraged to participate with an interactive timeline of the history of Marin and listen to recorded oral histories of Marinites. During the late 1800s, farming communities did not readily accept the new agricultural discoveries being developed, but young people were open to new thinking and would "experiment" with new ideas and share their experiences and successes with adults. 4-H youth programs became an innovative way to introduce new agriculture technology to their communities. 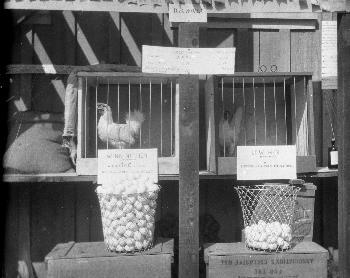 In Marin, as early as 1922, there were clubs for dairy, sheep and goat, beekeeping, poultry, rabbits, pigs, potatoes, vegetables, seeding, clothing, and for leadership and community service. "The 4-H pig-feeding contest was brought to a close when the boys from the Presbyterian Orphanage and Farm in San Anselmo sold their pigs in San Francisco at 11 cents a pound. The pigs averaged 200 pounds each." -M.B. Boissevain. When we view a present day landscape it is often difficult to envision the location's evolution, and even more challenging to appreciate alternatives that could have been. Many of Boissevain's photographs offer the opportunity to explore changes across Marin's landscapes and community efforts to manage those changes. Through the practice of rephotography, Dewey Livingston has researched original locations for selected Boissevain images and captured them in their current state. Pairing the early 20th-century photographs with the new 21st-century images tells the compelling story of Marin's growth and its commitment to open lands and working farms. While a former fairground is now a neighborhood, in other instances, pastures and farms are virtually the same, a mosaic of grass and oaks with grazing livestock. The vision of an alternative landscape with more than 125,000 people and 45,000 homes in West Marin was on track as late as 1969. That this plan did not come to fruition, and that the balance of Marin's lands are still in open space and active agriculture, is the result of establishing state and national parks and a testament to critical and timely decisions by the Marin County Board of Supervisors to preserve these lands, as well as the role of the Marin Agricultural Land Trust in further support of Marin's farm families through conservation easements. Boissevain may or may not have been aware of the peril that change would pose to Marvelous Marin when he photographed its community and landscapes. However, his and Livingston's images are confirmation that Marin's endowment is in place.